Angelica; the name is a promise of wonderful moments. Angelica is an astonishing plant boasts remarkable vitality and growth. It can reach a height of almost two metres in just a few days, due to its exceptional capacity for self-hydration. 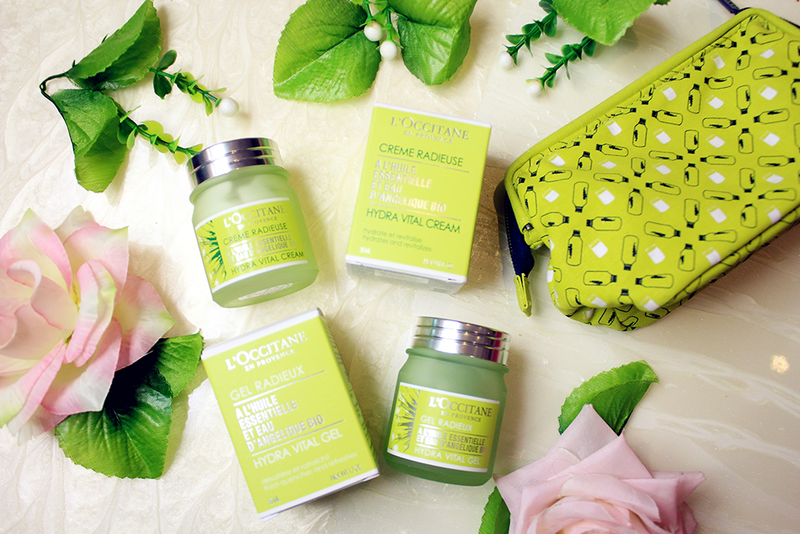 This is the reason why L'Occitance selected Organic Angelica from the Drôme region for its moisturizing range for hydrating and revitalizing the skin and makes it look more radiant, smooth and plump. - Organic angelica water boosts the circulation of water in skin cells by stimulating the production of aquaporins. 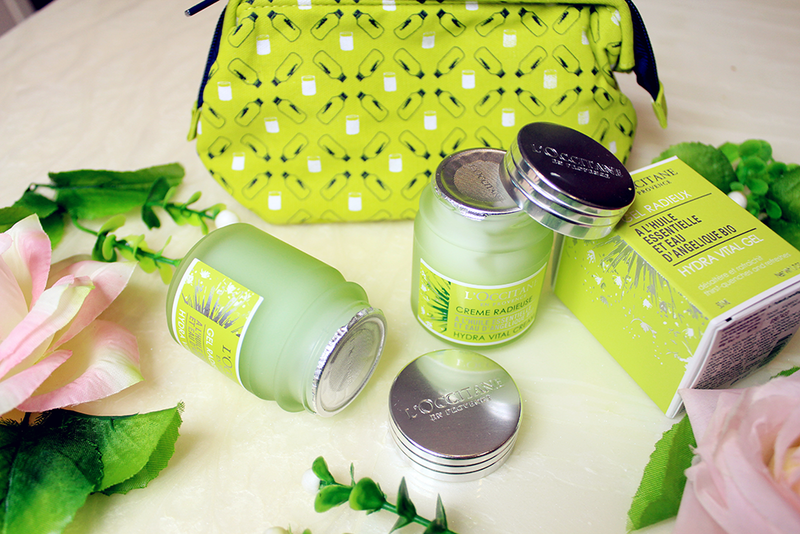 - Organic angelica essential oils helps protect skin against free radicals and improves the elasticity of skin fibres. In 2014, the L'Occitance Botanical Expertise Laboratory revealed and patented the exceptional moisturising power of angelica seeds. The extracts derived from these seeds stimulates the production of versican - a molecule that promotes the delivery of moisture, and its retention in the skin wen hydration level falls. Versican has regulating function, and this ensures a long-lasting, balanced level of hydration. 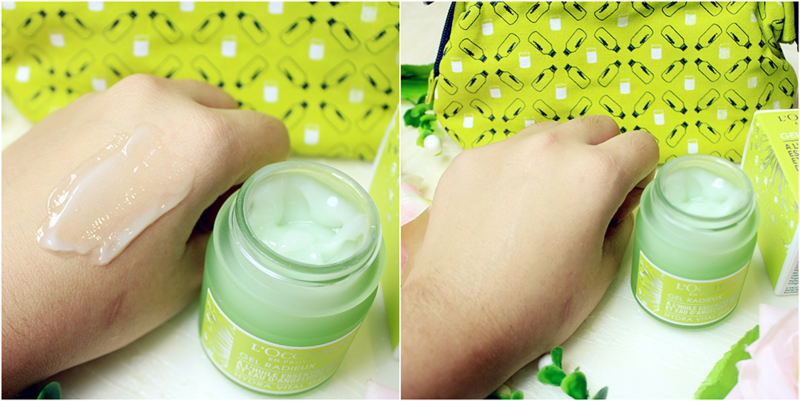 I have give myself a tried and test on this two different types of texture of L'Occitance Hydra Vital Moisturizer. Let's see what is my thought and overall of this product. 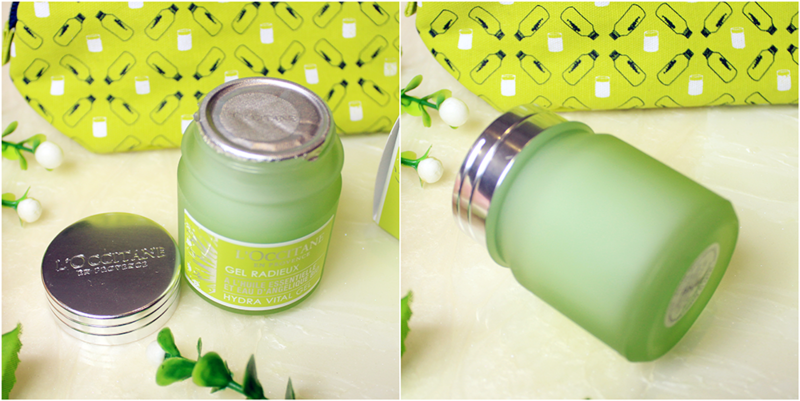 The packaging of the two new L'Occitance Angelica Hydra Vital Cream/Gel Moisturizer is in a green frosted round glass bottle jar. 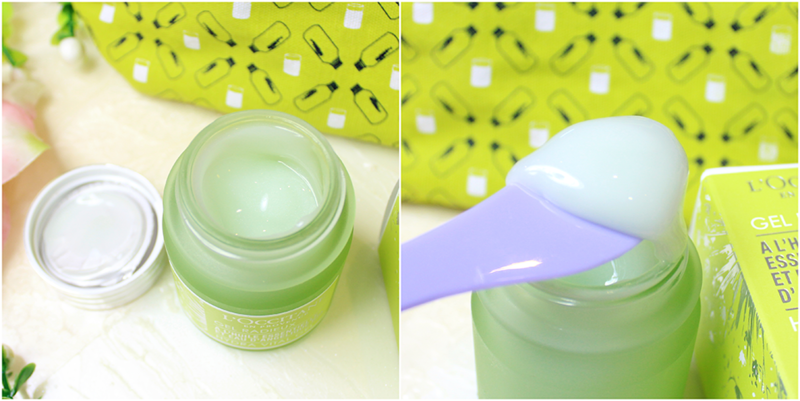 The design is different like usual a moisturizer's design will do. The packaging reminds me of supplement bottle actually, lol. 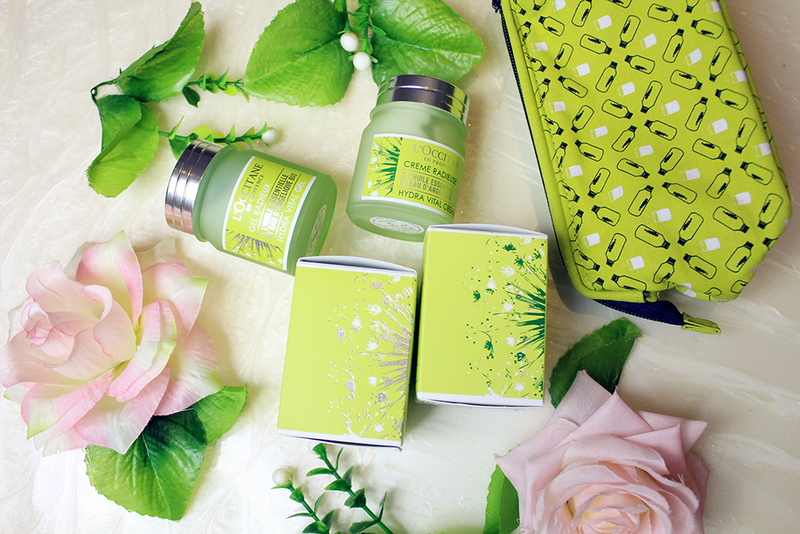 The lid is in silver color with a print-in L'Ocittance label which makes overall design looks eco and simply elegant. 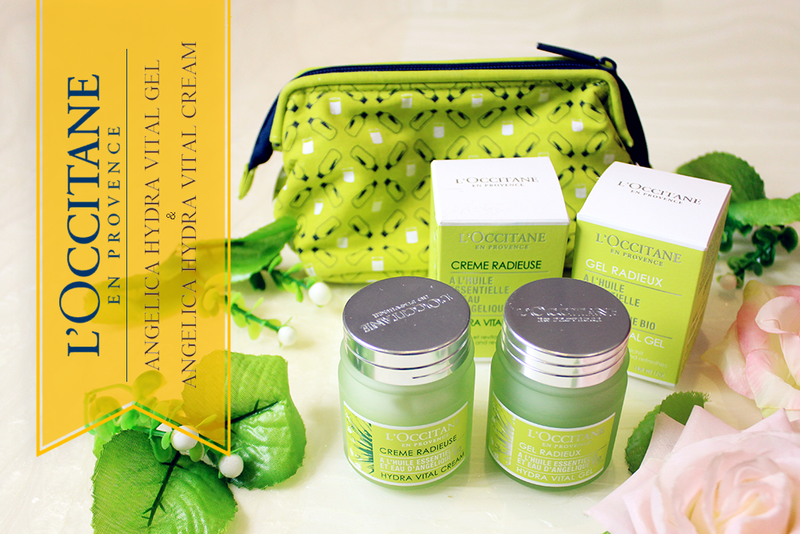 What is different about L'Occitance Hydra Vital Cream and L'Occitance Hydra Vital Gel? Hydra Vital Cream is enriched with angelica seed extract, this cream offers long-lasting moisturization up to 48 hurs of hydration. It also helping skin defend itself against environmental stresses and helping to revitalize. The fres, creamy texture is a pure delight. It restres comfort and a natural glow, leaving skin plumper,smoother and radiant. 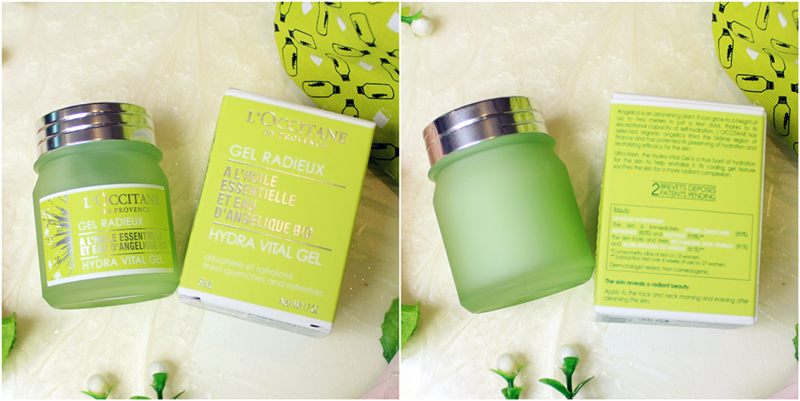 Hydra Vital Gel is for instant and intense hydration. This is more idea for normal to combination skin, the aquaeous gel melts in smoothly, with an instant thirst-quenching effect. All year long, it envelops your skin in freshness and restores radiance and vitality from dawn to dusk up to 24 hours hydration. The different between both is its come with cream & gel texture. Since I want to tried both at a same time, I used gel type in the morning for a lighter yet to hydrating my skin and then cream type for night for extra moisturizing level. 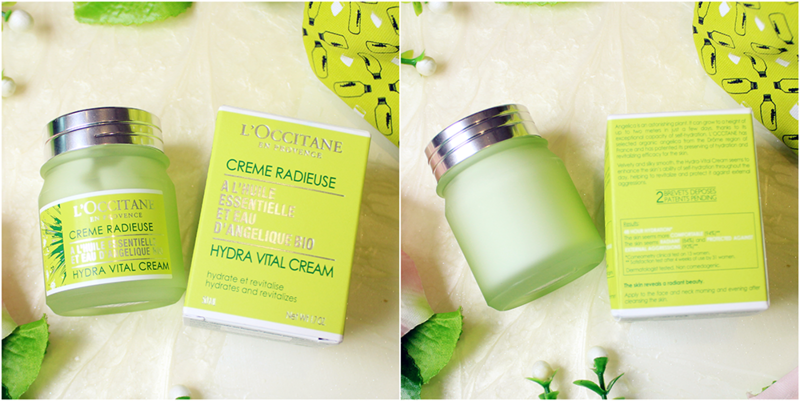 The consistency of L'Occitance Angelica Hydra Vital Cream is comes in milky-white cream. The texture is watery creamy type; it's doesn't feel heavy greasy feeling but it does has a slight of tacky feeling. I treat this cream type of moisturizer as my night moisturizer because of the consistency is thicker. The hydration level is high as I can see my face was plumped on the next morning yet I believe it helps to balance up my pH level (the pH level of the skin, or the power of hydrogen, is the balance of acid and alkaline) because I can see the improvement of my oil control and my skin won't cake up after few hours applying makeup. I will apply quick a thick layer for my skin at night due I sleep in air-cond room and lack of sleeping to boost my hydration level. Although the consistency is thicker than the gel version but it makes my skin feel smooth, light and non-heavy but feeling slight tacky after apply. 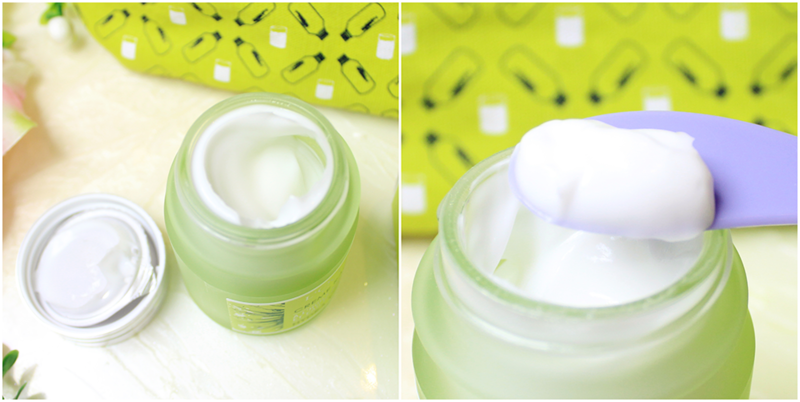 This moisturizer doesn't cause any irritation or break-outs during usage. As for the scent, OMG! I love the scent so much! The scent just please me so well. The scent reminds me of plant extract where I believe the scent was came from Angelica plant. This is lighter and fresher; gel type reflecting the cream type. 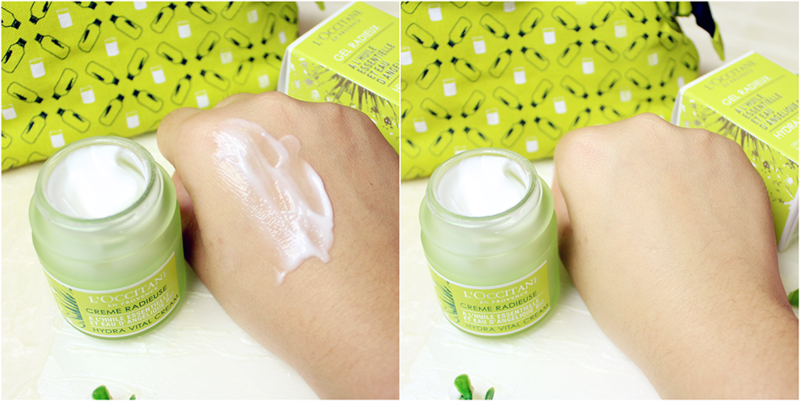 This moisturizer is more suitable for combination to oily skin or those who prefer the lighter version. Personally, I am more into this gel type because I am always go go with gel texture if possible on morning. So, I treat this as my day moisturizer. It gives me a fresh, lighter with a nice scent living on my face, just perfect specially for summer! I am absolute love this as day cream and makeup base. This moisturizer boost my skin hydration level and the usage of foundation or makeup base is definitely lesser and it also helps my makeup stay longer and won't cake up. This moisturizer is easy to penetrate and absorb. It's leave my skin a fresh, light and supple hydration skin. I really recommend this moisturizer to oily skin type. I found that this moisturizer also good for sensitive skin too. As when I apply on my breakout area, it help's to sooth and calm my skin. Of course! It's depend on the level of your skin sensitivity. I recommend L'Occitance Angelica Hydra Cream for dry to combination skin while L'Occitance Angelica Hydra Gel for combination to oily skin. While I also recommend to sensitive skin to try these product as I found it was made by botanical ingredient and it's very soothing no matter what cream or gel. Of course! Advise for pre-checking what is your skin's sensitivity level. As I mentioned just now, I use cream type for my day moisturizer and gel type for night moisturizer as my daily skincare routine. Overall, I am impress with the hydration level that these product gives to me. I found that my skin always plump and hydrating all day long. As for the texture, cream type is watery creamy while gel is fresh & light. The cream type is not the type of moisturizer that makes you feeling greasy and doesn't leave a white cast; it still feel light and watery but in a slight creamier consistency. And for gel type, nothing much to mention, as your can see in picture, it's really fresh, light and soothing.